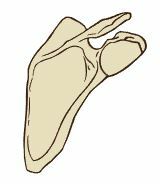 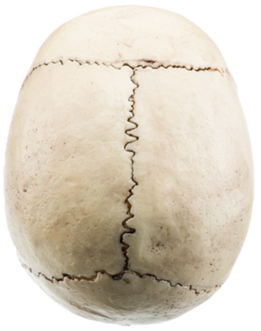 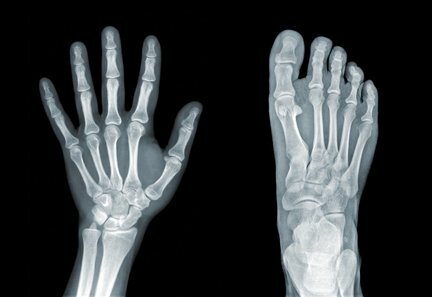 Each osteon consists of ringed layers, or lamellae, of compact bone tissue that surround a central canal (Haversian canal). 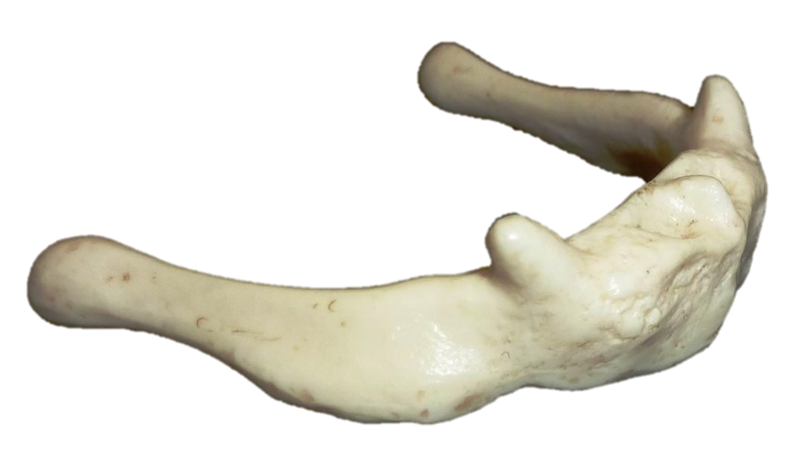 The central canal (a.k.a. 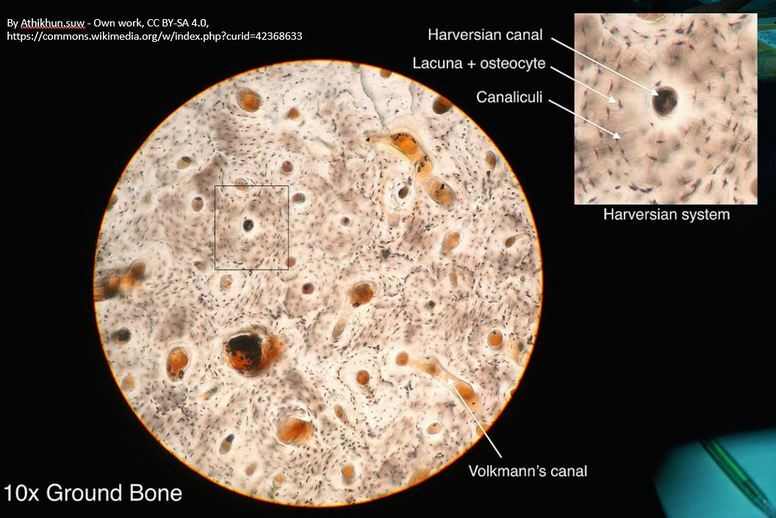 Haversian canal) contains the bone's nerve and blood supplies. 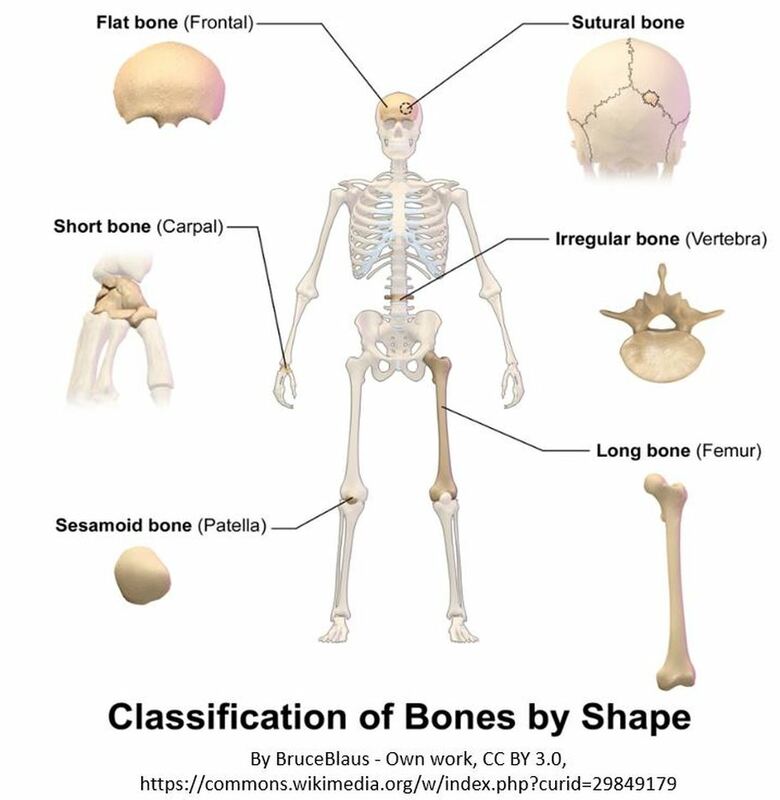 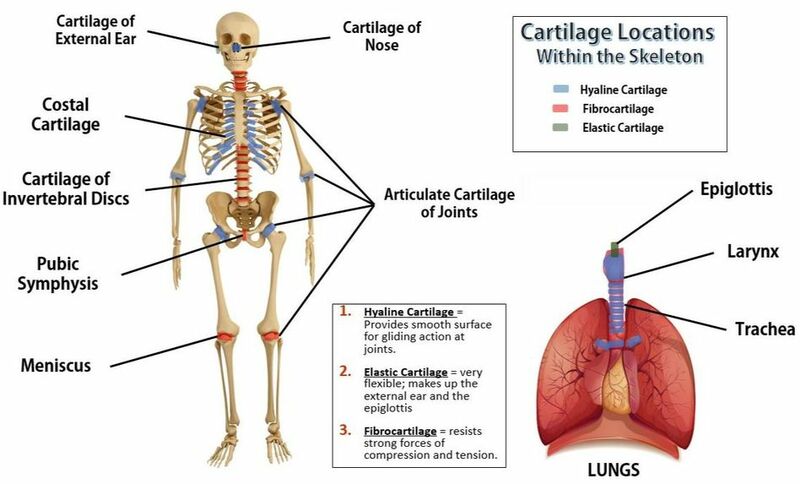 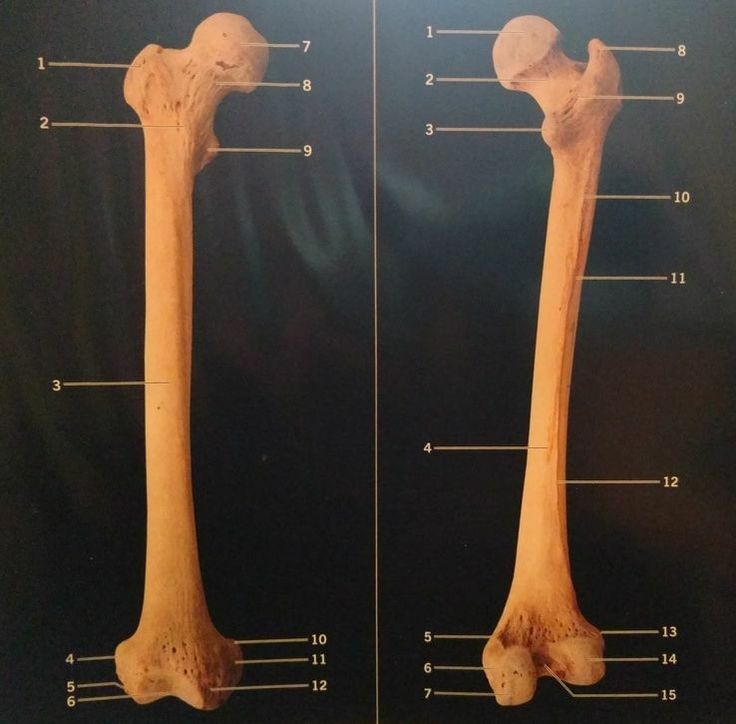 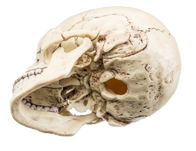 Bone Marrow - The two types of bone marrow are "red marrow" and "yellow marrow"
Long Bones have compact bone on the outer portions of the bone, as well as in the shaft to provide added strength. 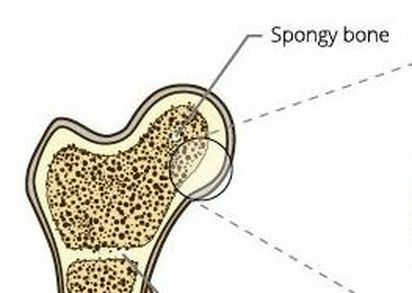 The inner portions of the ends of long bones will contain spongy bone. 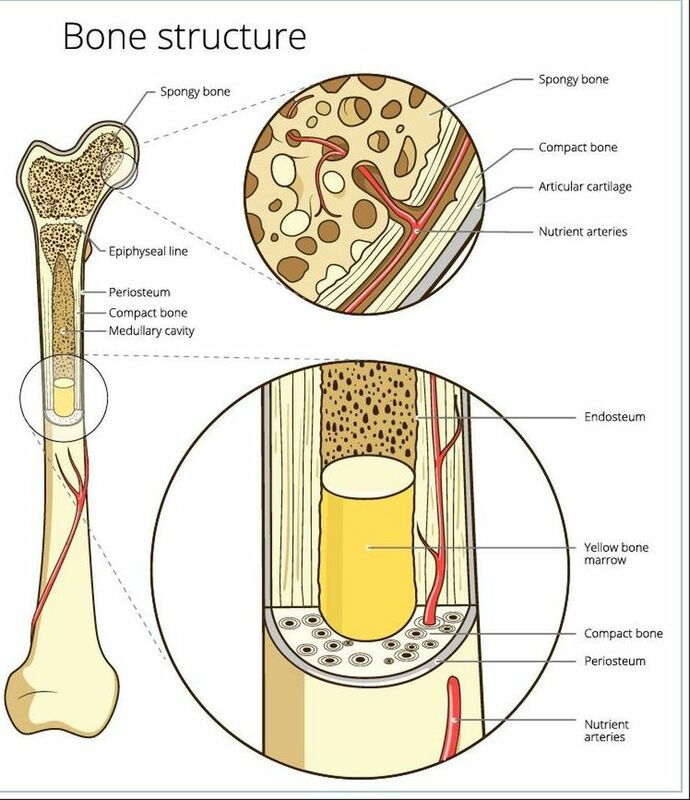 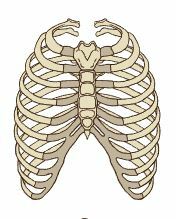 The Periosteum - The periosteum is where new bone growth occurs. 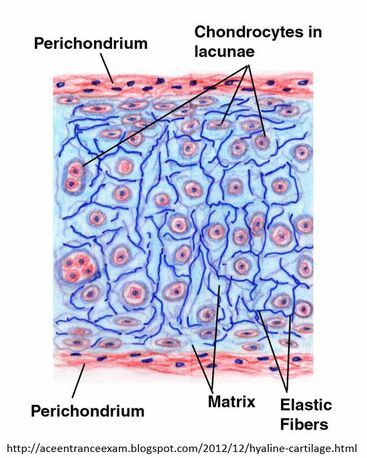 It is composed of a layer of dense irregular connective tissue that contains osteoblasts. 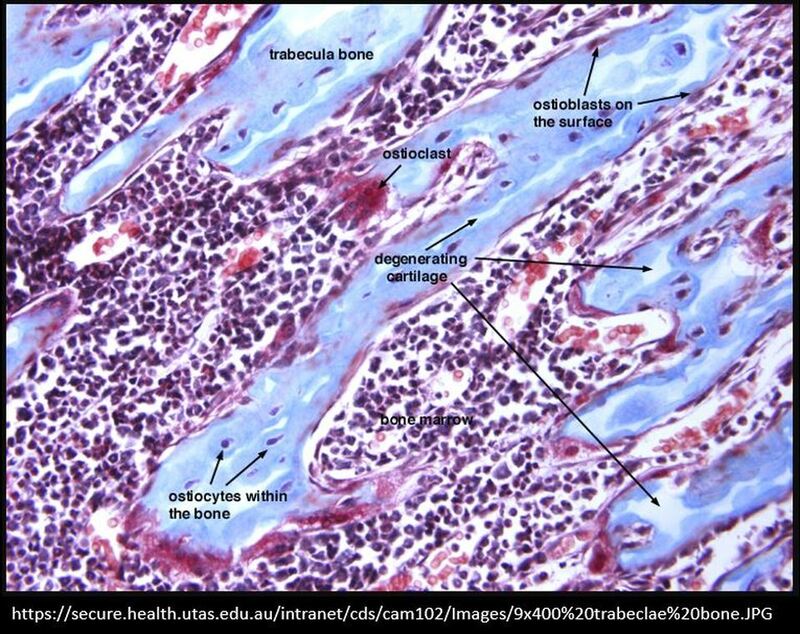 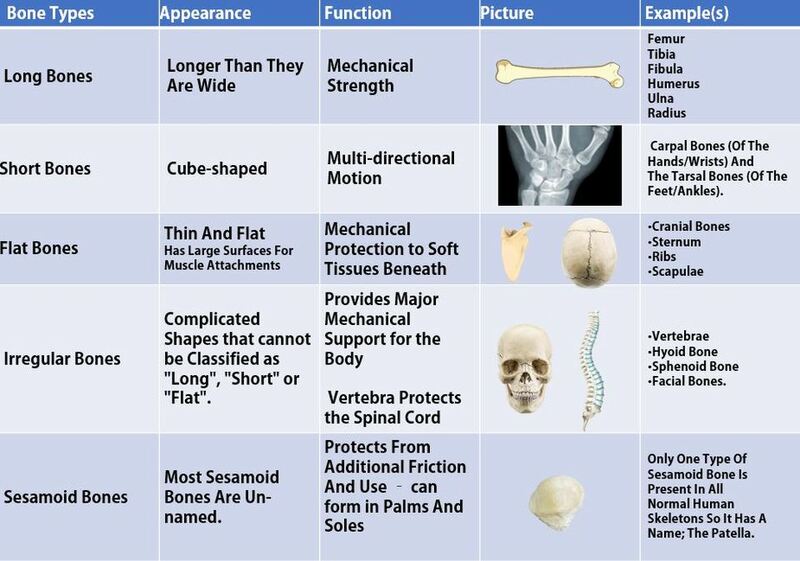 These osteoblasts are responsible for increasing the width of a long bone and the overall size of the other bone types. 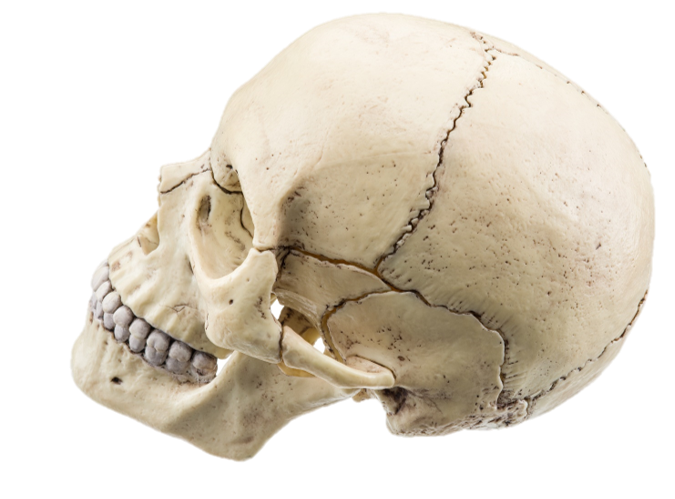 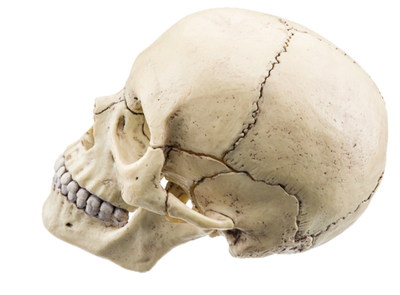 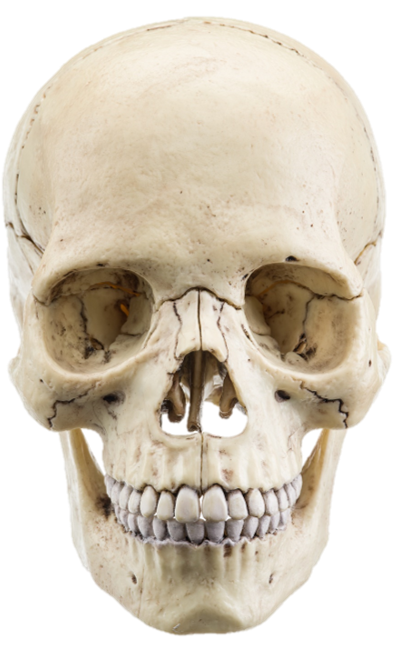 Nutrient Foramen - All bones possess foramina (foramen sing.) 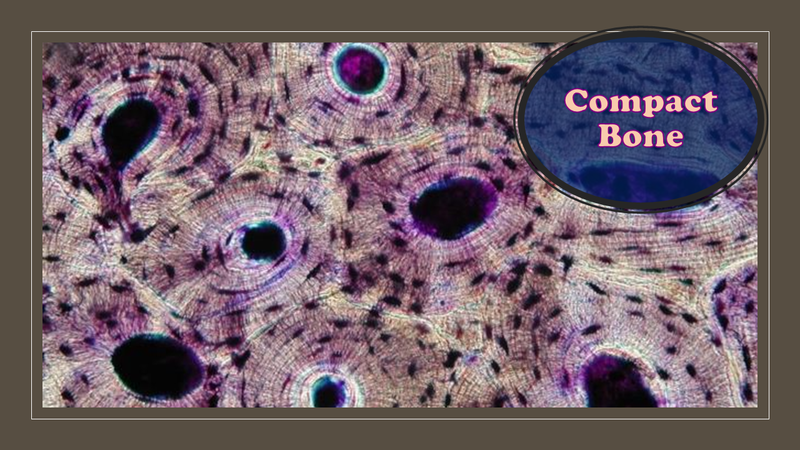 which are holes or openings for the entrance of the nourishing blood-vessels as well as nerves. 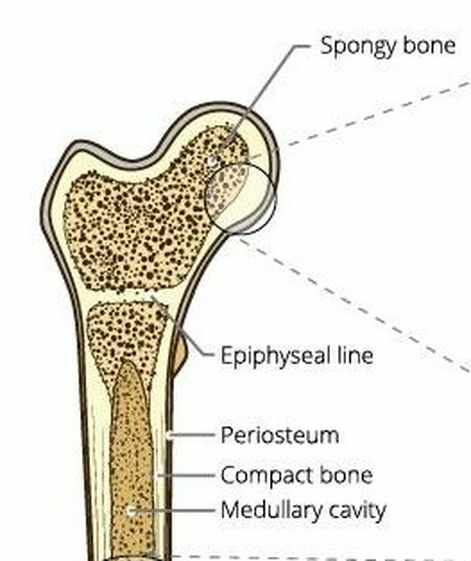 In long bones, the nutrient foramen is located at the shaft and leads into a nutrient canal, which extends into the medullary cavity. 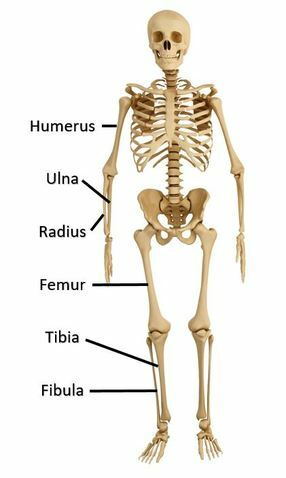 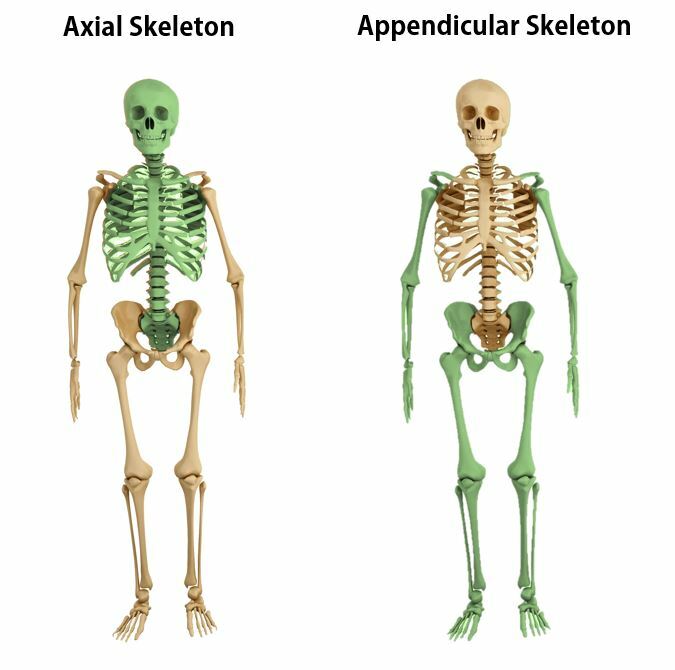 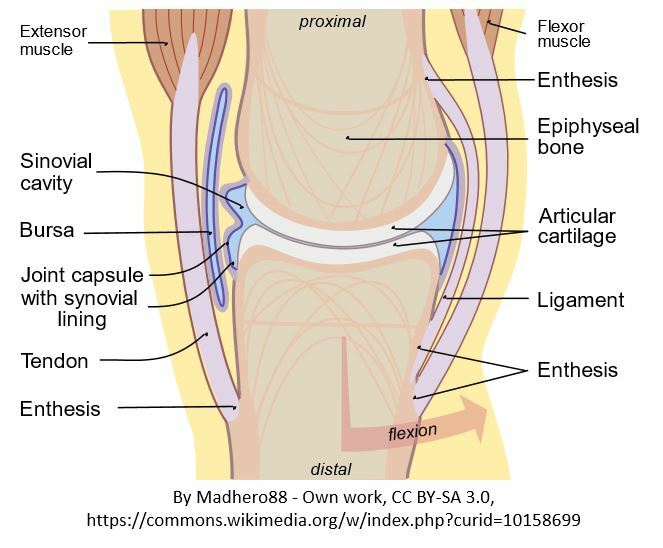 ​ The upper leg bone, or thigh bone, is called the femur.